I have been told at times how much people love our curriculum in Shelby County Schools (SCS). It is really flattering to see that your hard work has received some praise or acceptance outside of your context. At the same time I have also been asked, if it’s good why do we keep revising it? Each and every year we survey our teachers. My curriculum team pours over responses so we can see where we can grow. Where can we push our students beyond what we initially thought possible? I can honestly say that while I love a good product what makes it all worth it is the development process. It is through the development process that we refine our beliefs about language learning, clarify our goals, and devise a plan worthy of our students. I think that it is much easier to verbalize our beliefs about language learning than it is to align our practice to those beliefs. If we were to survey language teachers around the world I think we would be hard pressed to find a majority that believed our ultimate rationale for language learning is something other than becoming effective communicators. The process by which that occurs however can vary widely. Do we believe that some kids are just natural language learners and will learn with ease while others will always struggle to attain any sort of useable proficiency? Or do we believe that every one can learn a language? Methods may have to be varied but nonetheless anyone can learn language. In developing curriculum or even lessons, our belief system drives our decision-making throughout the development process. It is completely possible that you are clear on your beliefs but are your colleagues? How clear and aligned are your colleagues in your department or district? The curriculum development process is the perfect venue to clarify and align these beliefs. This does not meant that everyone is on the same page in regard to practice but have aligned beliefs about language learning from which each individual can grow towards practices that support the commonly held beliefs. In addition to clarifying and unifying our beliefs about language learning, the development process allows us to set and clarify common goals for our program. Sure we can choose random performance levels to target for each level of language learning but how does that translate to our daily instructional practice? Much like our beliefs, our goals must drive what we do and how we do it in our classrooms. Reflecting over our practice, i.e. “what I always do” vs. what is going to help our students meet our goals is critical to our success. There are many practices in which we have mindlessly engaged in for years, a favorite activity or unit that is perfected and comfortable for us as instructors. The rub here is how does this favorite or comfortable practice help current students meet the performance targets. Or for us in SCS, how does it help students exceed the target? I believe very firmly that according to available data we know what is possible with current practice. What we don’t know is what is possible with new targeted practice. 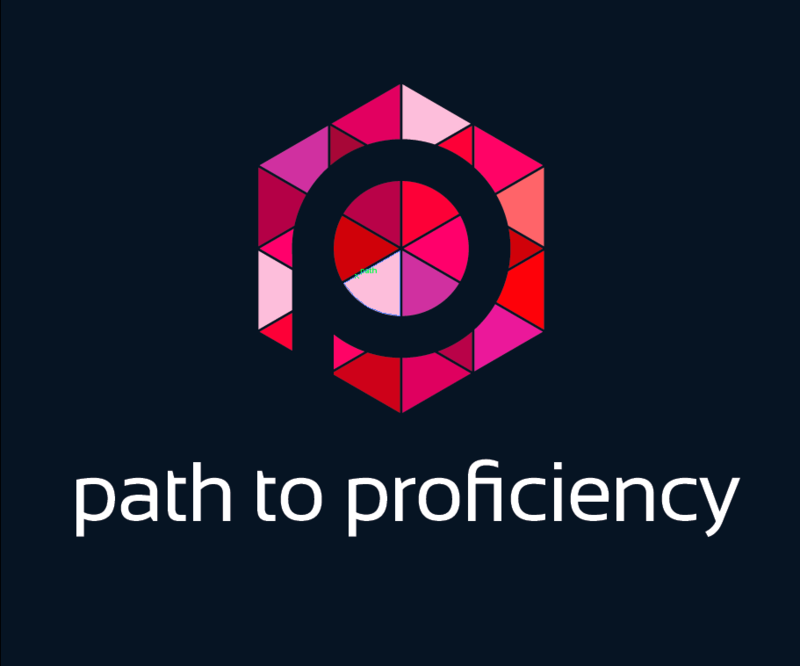 For example, two years ago we began teaching our students about proficiency. Every year, every grade/level from second grade through AP begins their year with a weeklong pre-unit on proficiency. What is it? What does it look like? What am I aiming for? With students we answer these questions so that our goals are crystal clear to everyone. Control is handed to students with the knowledge of performance levels and their characteristics. You want to get good grades, here is what you need to do… After we share the vision, we focus on teaching functional chunks of language instead of long vocabulary lists. Our focus is on the sentence stems such as “I like…”; “I went…”; “ In the future I hope…”. How students fill in those blanks may vary from class to class based on student interest. What we are finding is that the student interest is not limiting the vocabulary but because of the variety of interests it is enriching the vocabulary development in meaningful ways and increasing the receptive vocabulary in all of our students. These are two examples of developments or innovations that have resulted from a development process. While my teachers are at varying levels of implementation or mastery, the growth is astounding because as a district we are focused on growth. This belief, underlies the goals we set for ourselves and our students. The development process finally helps us examine our options for implementation of our beliefs and subsequent goals. If we were to take goals and units from another place and just implement them as our own, we would be like the emperor and his new clothes. We can profess our beliefs and goals but our practice demonstrates the intersection of what we say we believe and what we really believe. I think that looking at what our colleagues are doing around the country is the best way to start the process but no two contexts are identical. Engaging our students in meeting the goals we have set and commonly agreed upon includes the nuances of our local context. So while beginning from someone else’s context can be a great start, it is not enough to just take it and run. The product that has attracted your attention is much greater than the pages you have in front of you. Each team, department, district, etc, needs to experience the process to really own the plan. It is only after we have aligned beliefs and goals that we can truly examine our individual practice for those things that we have always done and how they square with our goals. We know more today than ever before about to how students learn, about the language learning process, methods, and more. Armed with this information we have to carefully examine our practice before, during and after to ensure that the practices we have selected are the best option for helping our students learn and grow. The debate between product and practice is not much of a debate for me. While I am pleased with the curriculum we use, what I am proud of is the growth of my teachers through the development and revision process district wide. Whether you are the curriculum developer or a new teacher, the process emanates from the resulting products allowing for everyone to engage in the process at some level. While I realize that many districts do not have the benefit of a district supervisor to guide the work, we can all engage in these conversations in our districts and departments. See a new product that catches your attention? How can you use it as a starting point for your own development process to ensure it has long-lasting benefits and not just a pretty product?